In the midst of a stressful and very busy week it was such a pleasure to sink into Glory Road each night (and morning and lunchtime and basically any minute I could squeeze into my day). The relaxed, restful and charming nature and setting of this book was simply delightful and such a pleasure to enjoy. Glory Road is a multigenerational story of growing up, loving and learning. Storms can bring great destruction, but they can also bring a time for discovering what lasts, what holds together even through the harshest weather, and what comes out better for the rain. Hurricane Season is a book truly evocative of Southern summer and which captures the complications of family relationships, the desire to see dreams fulfilled, and the trials that test marriages and break hearts. When Betsy receives a voice message from her sister, Jenna, asking if she can leave her two young girls with her while she attends a photography camp, Betsy knows it will test everything inside her. It will bring back the harsh memories of negative test results and the guest room that never became a nursery. It will strain further her relationship with her husband, something that was only now slowly returning to normal. But Betsy never says no to her sister and so two sweet, young girls descend on Betsy and Ty’s farm and home. For Jenna it is a time to finally follow her dreams of photography. For Betsy and Ty it is a time of facing the past’s hurt and faded dreams, while reconnecting as a couple. But as a hurricane looms, will this family survive everything the summer has in store for them? As Jacey walks down the aisle as the maid of honor in her friend’s wedding a year later, the last person she expects to see is Colin. The biggest surprise, though, is that the man of her dreams is not wearing jeans and flip-flops as he did when he held her through those long nights of the flood. He’s the preacher. As Jacey’s memories come flooding back, it’s almost more than she can take. The fate of the young family trapped with them haunts her. The unwavering honesty—and support—of her best friend Georgia forces her to take a fresh look at herself. She’s spent her life afraid of love. But this flood is opening Jacey’s heart in the most unexpected ways. 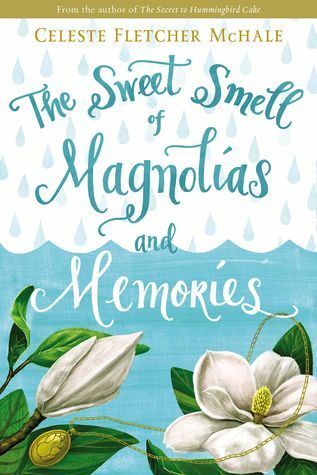 The Sweet Smell of Magnolias and Memories is a lighthearted tale of friendship, misunderstandings, and missed chances. Jacey Lang spent three terrifying days atop a roof during a terrible storm. She shared that experience with a young family and (possibly) the man of her dreams. But a traumatic accident during their rescue left Jacey with scattered memories and no way to reconnect with Colin. One year later Jacey accidentally finds Colin again – at the end of the isle at her best friend’s wedding, as the preacher. 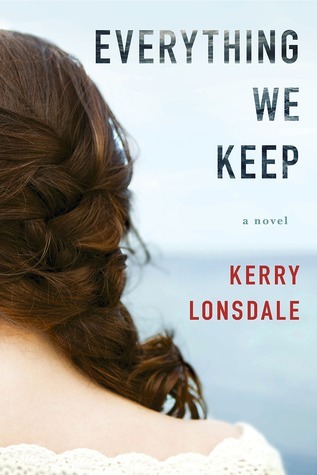 Uncertain what the future holds for them, Jacey must deal with her returning memories about the accident and the fate of the young family, while Colin comes to terms with his family’s past. 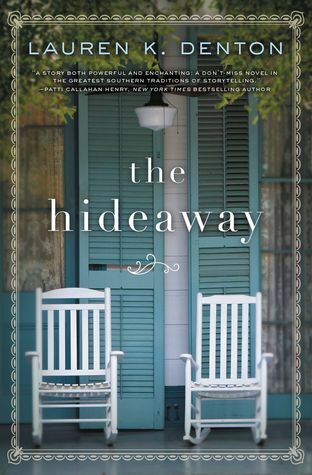 The Hideaway is absolutely charming, featuring two intertwined stories of love, self-discovery, and the search for peace. Deep in the heart of the South is a dilapidated, quirky, and much-loved old home. The Hideaway is a shelter for those who are lost or want to escape society. For Sara, growing up there with her equally quirky grandmother, the Hideaway was embarrassing and as a young adult she quickly escaped to New Orleans to start her own business. Now her grandmother is dead and Sara has been left with the Hideaway, its remaining occupants, and the task of refurbishing the house. But the longer she stays, the harder it is to imagine leaving. She also begins to uncover the secrets her grandmother closely guarded and starts to fall in love with the charming contractor refurbishing what is quickly becoming her home. This book is written in two sets of alternating chapters. The first from Sara, present day as she returns to her childhood home after the death of her grandmother. The other chapters are written from the perspective of Mags, Sara’s grandmother, dating from the 1960s as Mags escaped an unfaithful husband, learned to love again, stand on her own feet, and never again let someone’s judgement shape who she was. Yelena seeks to break the hold of the insidious Theobroma that destroys a person’s resistance to magical persuasion. But the Cartel is determined to keep influential citizens and Sitian diplomats in thrall and Yelena at bay. With every bounty hunter after her, Yelena is forced to make a dangerous deal. Dawn Study is the long-awaited conclusion to the Soulfinders series and the Ixia Chronicles. How I have loved every single minute spent with Valek, Yelena, and the gang. They have grabbed my heart, taken me on wild adventures, driven me slightly crazy with tension, and changed forever the way I look at books. Dawn Study is everything I was expecting and waiting for. Incredible doesn’t do it justice. Prepare yourself, because this is going to be a long review – when I am this in love I get longwinded. Yelena and Valek have long been working towards establishing peace between Ixia and Sitia. Now they must face their final battle. The magicians of Sitia are under the control of a rogue group and the Commander is threatening to invade. Yelena, Valek and their friends have until the hot season before they lose their chance of peace once and for all. They will need to sacrifice everything in the hopes of one day being able to raise their family in safety. I have mixed emotions finishing this book. I loved some sections, disliked others, liked the main characters and then wanted to slap them for being so stupid. I had no trouble slipping into this book. I was captivated by Aimee’s story and then intrigued by the mystery. It was a true rollercoaster of emotions. Aimee’s life is turned upside down when her fiancé is proclaimed dead after being missing for months. Gone are her dreams of marrying her childhood sweetheart, starting a family and maybe even opening a restaurant of her own. But moving on with her life is hard when she has doubts that James is truly dead. The first two thirds of this book set up the mystery but then focused on the emotion of the story. We get to know Aimee and watch first her heartbreak and then as she slowly begins to recover from James’ death. She opens her cafe. She also wants to start a new relationship but holds herself back as the doubts about James’ disappearance refuse to stay silent. Scattered throughout are chapters from Aimee’s childhood and youth. In these flashbacks, we get to experience her and James’ friendship and their love story. It made the story and Aimee’s loss that much more real. Navy helicopter pilot Lt. Alison Malone has been assigned to a search and rescue team based at Naval Air Station Fallon, Nevada, near the rugged peaks of the Sierra Nevada, and far from her former elite H-60 squadron. A rule follower by nature, Alison is exasperated and outraged every time she flies with her mission commander, “Boomer” Marks, for whom military procedures are merely a suggestion. Alison is desperate to be transferred out of the boonies, where careers stagnate, and back to her life and fiancé in San Diego. Alison’s defenses start to slip when she meets mountain guide Will Cavanaugh during a particularly dicey mission. Will introduces her to a wild, beautiful world of adventure that she has never known before. Stranded on a mountain during a sudden dangerous blizzard, Alison questions every truth she thought she knew about herself. When Will braves the storm to save her life, she must confront the fact that she has been living a lie. But is it too late to change course? 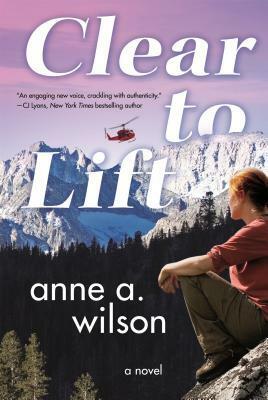 Set amongst the beautiful Sierra Nevada landscape, Clear To Lift is a compelling story of adventure, love, family and self-discovery. The tension, both romantic and life-and-death-danger, leaps off the page, drawing you into this epic story. It is unforgettable, addictive and just so much fun! With vibrant characters, a strong and relatable heroine, blizzards, storms, unexploded bombs, a gorgeous Labrador search and rescue dog, doughnuts and a very ruggedly handsome mountain guide, this book has everything I needed to make it unputdownable. I loved it. Ever since being kidnapped from the Illiais Jungle as a child, Yelena Zaltana’s life has been fraught with peril. But the recent loss of her Soulfinding abilities has endangered her more than ever before. 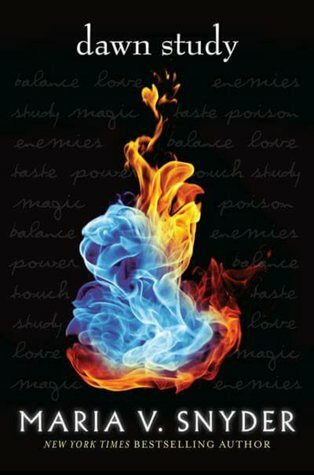 As she desperately searches for a way to reclaim her magic, her enemies are closing in, and neither Ixia nor Sitia are safe for her anymore. Especially since the growing discord between the two countries and the possibility of a war threatens everything Yelena holds dear. Valek is determined to protect Yelena, but he’s quickly running out of options. The Commander suspects that his loyalties are divided, and he’s been keeping secrets from Valek…secrets that put him, Yelena and all their friends in terrible danger. As they uncover the various layers of the Commander’s mysterious plans, they realise it’s far more sinister than they could have ever imagined. Epic, heart-stopping and so much fun, this next instalment in the Study series is just as awesome as all the other Study books, and yet the romance, tension and plots just keep building. Night Study picks up exactly where Shadow Study left off with Yelena revealing her big news to Valek. Yelana still does not have her magic and the danger in both Ixia and Sitia is mounting. It is up to Valek, Yelana and their friends to uncover the extent of what threatens their futures. Helicopter pilot Lt. Sara Denning joins a Navy battle group with little fanfare—and that’s just the way she likes it. After her brother Ian’s tragic death, her career path seemed obvious: step into his shoes and join the Naval Academy, despite her fear of water. Sara’s philosophy is simple—blend in, be competent, and above all, never do anything to stand out as a woman in a man’s world. When she meets strong, self-assured Lt. Eric Marxen, her defenses start to falter. Eric coordinates flight operations for a Navy SEAL team that requests Sara as the exclusive pilot. This blatant show of favoritism causes conflict with the other pilots; Sara’s sexist boss seems intent on making her life miserable, and her roommate and best friend, the only other woman on the ship, is avoiding her. It doesn’t help that her interactions with Eric leave her reeling. The endgame of the SEALs’ mission is so secret, even Sara doesn’t know the reason behind her mandated participation. Soon, though, the training missions become real, and Sara must overcome her fears before they plunge her into danger. When Sara’s life is on the line, can she find her true self again and follow the orders of her heart before it is too late? Fantastic. Hover is a book that just gets better and better. I initially read a sample of the first 100 pages of this book. I was highly intrigued from the very first page. 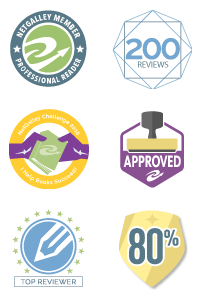 In fact, I loved every one of those 100 pages. But the question is, having now read the whole book, do I still love it? Yes. Resoundingly, YES! In fact this book only gets better and better. My previous comments stand: I was blown away with how great it was. I was sucked in from page one. I was laughing, intrigued, excited. I wanted more. I wanted to know what happened next.